Caption slip reads: "Photographer: Glickman. Date: 1960-08-10. Reporter: Driscoll. Assignment: Mae Murray to Central Hosp. 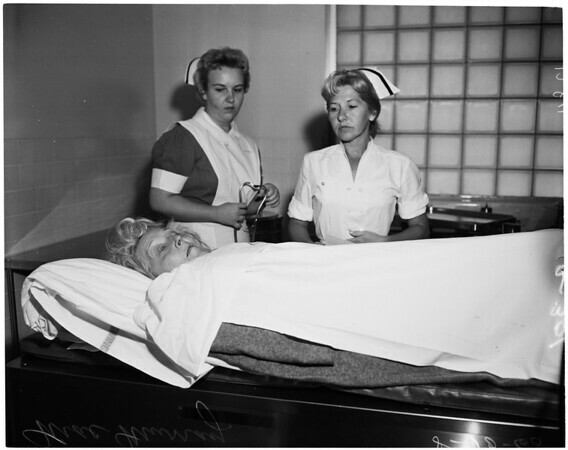 110-120-300-301: Ambulance attendants take Mae Murray out of ambulance. Nurse Norma Wilson and Mae Murray."